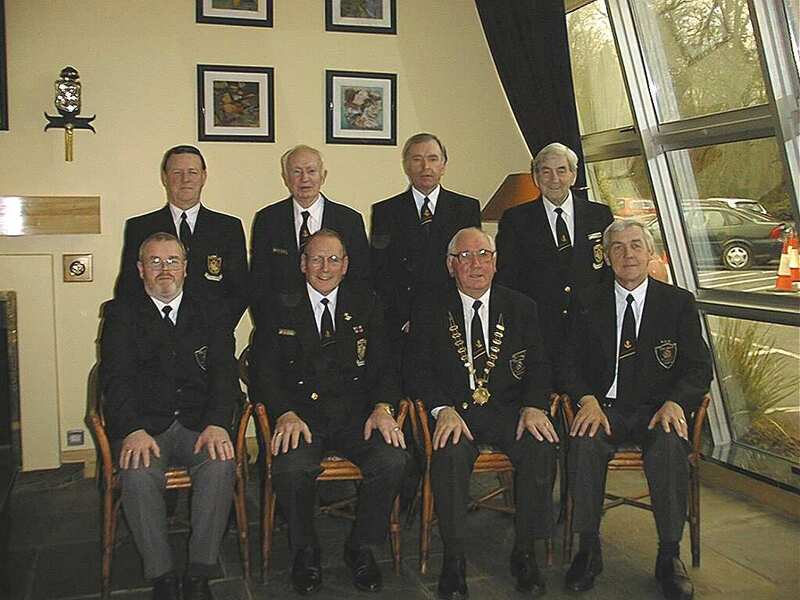 On 9th April 2001, 66 members of The Naval Association had travelled to Westport Co. Mayo the hometown of Michael Philbin to spend a week at the very popular Hotel Westport. 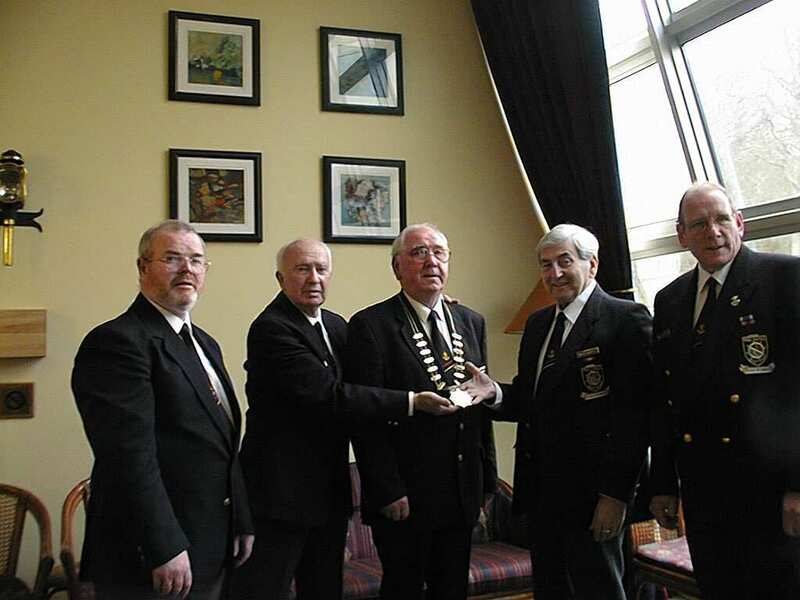 Michael had been elected President of the Irish Naval Association at the annual general meeting in January. On our first evening Mrs. Norah Walshe (head of entertainment at the hotel and wife of the General Manager Jerry Walshe) held a welcome reception for all the guests staying at the hotel. Everyone was given a complimentary drink of his or her choice. 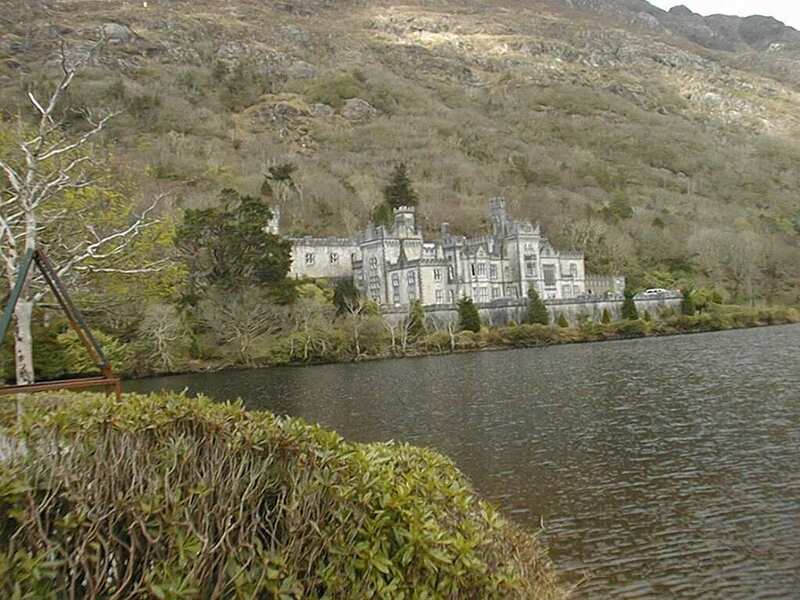 Mrs Walshe outlined the plan of the week, which included coach tours of the Clew Bay area, Croagh Patrick, Kilmore Abbey, and Achill Island. Other activities included, golf, indoor bowls, and table quiz, to name but a few. 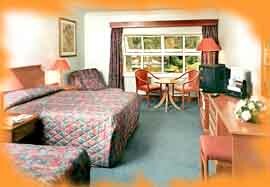 The leisure centre has a swimming pool, steam room, Jacuzzi, Sauna and a fully equipped Gym. During the week music was provided in the ballroom and some excellent singers from the 200 guests at the hotel provided additional entertainment each evening. Although the music in the ballroom ended a little after midnight most moved to the very spacious and comfortable residents lounge where our own Martha O'Neill obliged us by playing the piano to accompany the singers who felt like keeping the party going until 3 a.m.
An Taoiseach Bertie Ahearn and Michael Philbin . 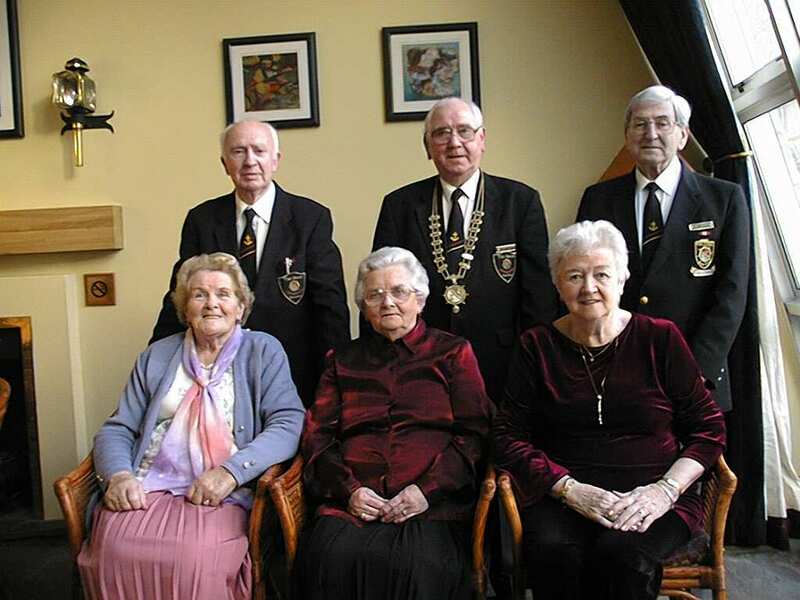 Our last evening was our principal evening as Michael Philbin and his wife Peggy was our guest of honour. In keeping with the high standard of the hotel they set about preparing the evening and a dinner that would leave any hotel or chef in the world with a standard hard to surpass. Pheasant, Duckling, Crocodile, Pork, Beef, Venison, and fresh Fish caught that day was included in the choice of the evening. 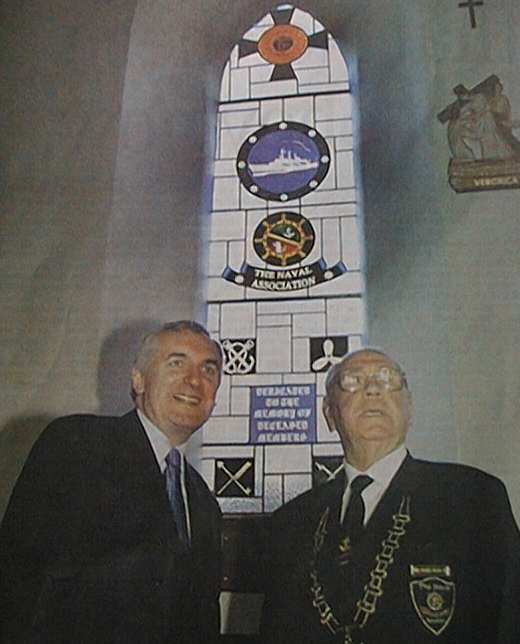 This of course was not exclusive to the Naval Association but was available for all guests each evening of the week. Michael Philbin joined the newly formed Marine Service during WW2. and served in the Marine Service until it was renamed the Naval Service in 1946. Michael stayed on in the Naval Service until 1952. During his service he was a stoker before joining the elite corps of physical instructors. 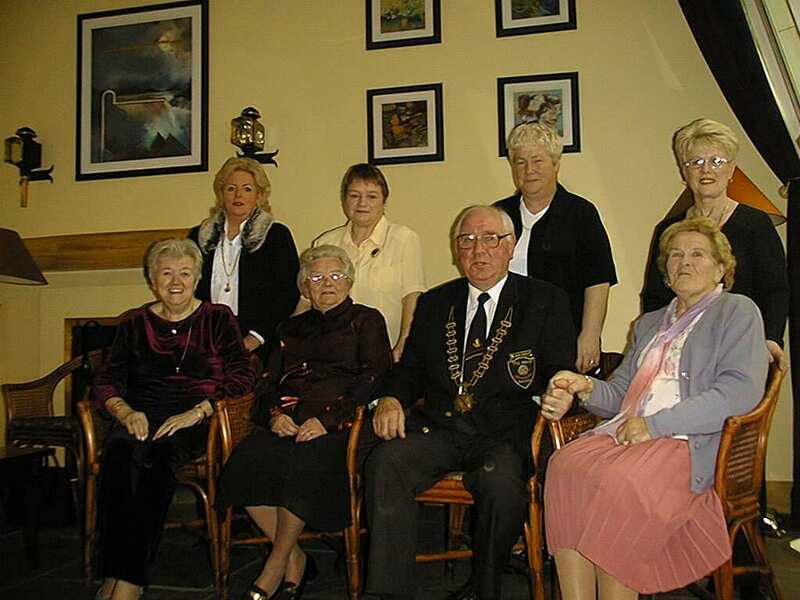 Michael and his wife Peggy live in the lovely Co. Mayo village of Louisburgh on the shores of Clew Bay and have two daughters, Patricia and Margaret.